Found 10 holiday rentals in St James Parish. West Coast, spacious luxury villa with A/C, WIFI, TV, DVD & pool located within easy walking distance to beaches, restaurants & supermarket. The villa is not suitable for children. Palm View is a 3bd/3.5br house in Porters, St James minutes walk from the stunning west coast beaches. 2 minutes walk to bus stop for Holetown and beyond so car not essential! A great place for either a family or romantic holiday. The villa is positioned halfway up the west coast of Barbados, so all the attractions of the island are in easy reach. 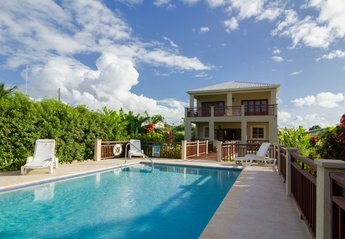 This spacious and airy Villa is located in the Parish of St. James, on the West Coast of Barbados. From the top of Holders Hill, a bird eye view of the Caribbean Sea and a lovely breeze throughout the house. Beaches, bars, restaurants are nearby. Mangoes; a lovely, spacious detached villa in a perfect location! Beautiful, private home in lush, tropical grounds. Two minutes walk to sea, pool and beach bar just across the road. Everything is on the doorstep - banks, choice of beach bars, restaurants to suit all pockets, new supermarket, tennis courts & more. 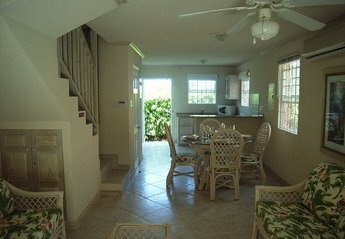 Guest House Ideally Located on the West Coast, Barbados. 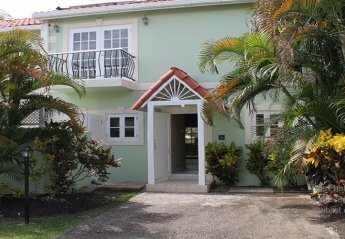 2 bedroom villa for rent in Fitts Village on Barbados West Coast with air conditioning and shared swimming pool. Beach, supermarket, bar and restuarant within 800 meters. Fimbar is a beautiful apartment with pool and tennis court in an ideal peaceful location close to the calm powder sand West Coast beaches. We found 10 holiday rentals in St James Parish.